Do you use Pinterest to generate revenue? 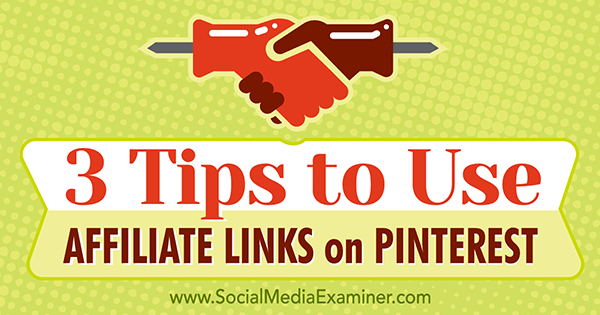 Have you considered using affiliate links on Pinterest? In this article, you’ll discover how to prepare for and use affiliate links in your Pinterest marketing. 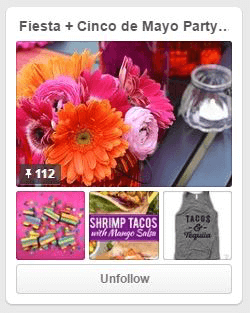 Discover three tips to using affiliate links on Pinterest. Now that Pinterest has lifted the ban on using affiliate links, you’re free to add as many pins with affiliate links to your Pinterest boards as you want. The key is to prepare your profile and add those pins strategically, so you make money and don’t annoy or lose your followers. Here’s how to optimize your Pinterest profile and boards to support affiliate pins, properly add your affiliate links, and boost visibility for the boards that have affiliate pins on them. Before you start adding pins with affiliate links, you need to make sure the boards on your Pinterest profile share a branded look that represents your business. You want the overall look of your Pinterest presence to tell people what you’re about at a glance, without them having to do too much reading. For example, Courtney Whitmore of Pizzazzerie is an author, blogger, entertainer, and food stylist. 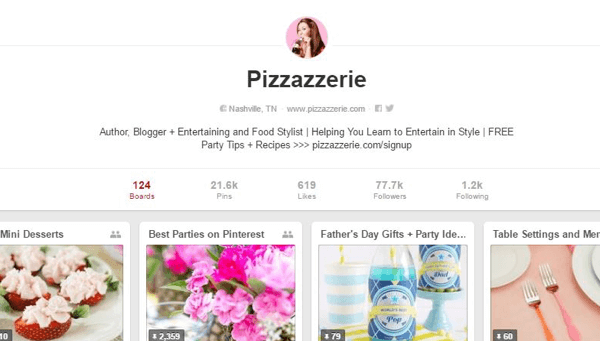 When you visit her Pinterest presence, it’s easy to see that she is all about parties, fun, and entertainment. Courtney Whitmore’s Pinterest presence is similar to her website, so current customers will easily recognize it. In addition to being sure you use a clear description at the top of your Pinterest profile, you’ll want to give each of your boards a title that relates to something your business or brand offers. 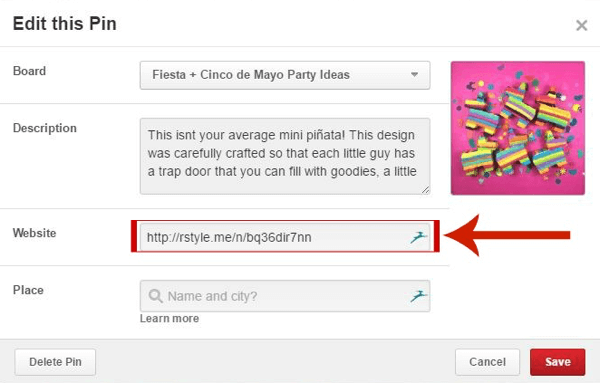 Remember to use keywords in your board titles (and your pin descriptions) to show up in Pinterest search. Next, populate each board with pins that you know your target audience will be interested in. This Pinterest board is full of games, menus, table settings, and theme party ideas her followers can use to create their own backyard festival. Beyond supporting a branded look, this approach will help you build a Pinterest profile that’s ready to show off the best ideas and tips you have for your audience, making you a go-to resource. Now you’re ready to think about which boards are a natural fit for pins of your own products or products for which you’re an affiliate. First, choose the product you want to share and decide which board you’ll pin it to. For example, if you have an affiliate link for miniature piñatas, you can pin it to a board full of products and decorating ideas for Cinco de Mayo parties. This Cinco De Mayo Pinterest board is the perfect home for a mini-piñata product pin. After you pin the product, click the Edit button on the pin. Click the Edit button to open the pin. Now you can replace the original link in the Website box with your affiliate link. Click in the Website text box and then replace the existing link with your affiliate link. Click Save and your pin is live with your affiliate link! Rinse and repeat these steps with other products. After ensuring all of your affiliate links have been added correctly, you’ll likely want to increase exposure for them. While you can take advantage of promoted pins to get more eyes on individual affiliate pins, a great option for driving traffic to boards that have affiliate pins is to share them on your other social platforms. 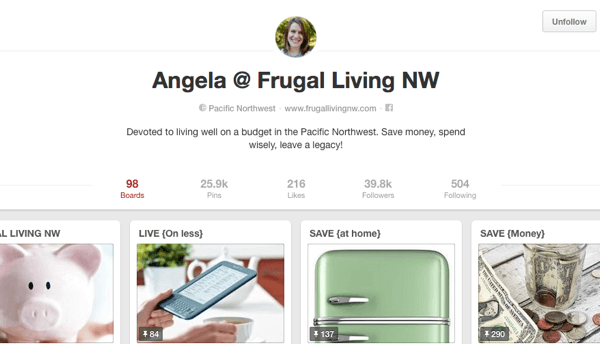 Angela Davis from Frugal Living NW has a Pinterest profile that shares ways to save money. 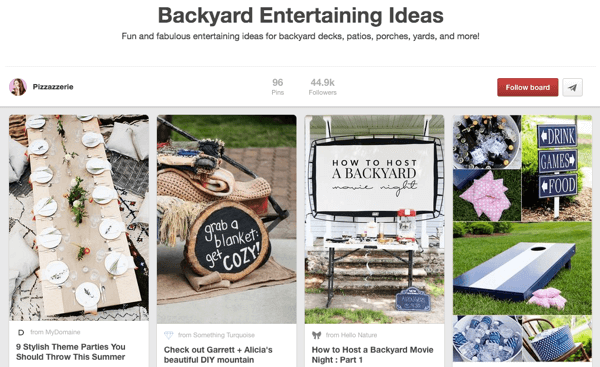 This Pinterest presence is a perfect place to promote money-saving products or opportunities, such as a clothing sale. She created a fashion board to share her favorite items from the Nordstrom Half-Yearly sale. She added a personal note to each pin description, telling her readers what she loved about the product. Her notes added authenticity and value to the pin. When her board was complete, she hopped over to Facebook to let her readers know about the lookbook she created for the sale. They could find all of her favorite products plus her comments on her Pinterest board. 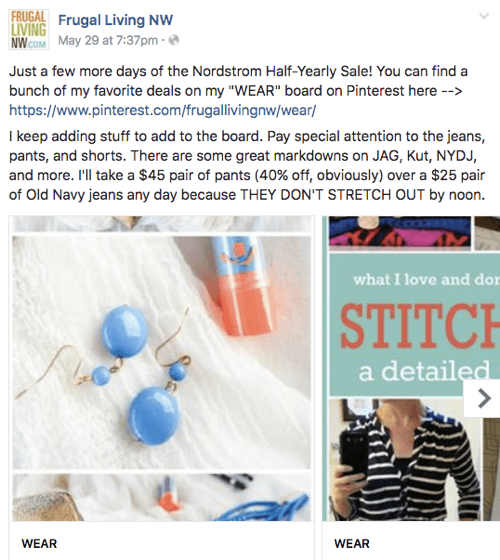 In this Facebook post, Frugal Living NW tells fans about the lookbook they created for the Nordstrom sale and links to that Pinterest board. First, the FTC requires that you disclose any affiliate links used in your marketing. Next, it’s important to note that some companies support the use of affiliate links on Pinterest and some don’t; for example, Amazon doesn’t currently include Pinterest in its affiliate program. Finally, be aware that shortening your affiliate links with Bitly will interfere with tracking. Always use the full URL. Affiliate marketing is a great way to serve your audience by promoting products you trust and would use yourself. If done carefully, you can accomplish two goals at once: you can grow your audience and you can open a path for passive income. Test out the tips above on one or two pins this month. As you find out what works best for you and your followers, try a few more pins and adjust whenever necessary. It pays to keep testing until you find the best method for your audience. What do you think? Will you try using affiliate links on Pinterest? What helpful tips can you share? Please leave your thoughts in the comments below. 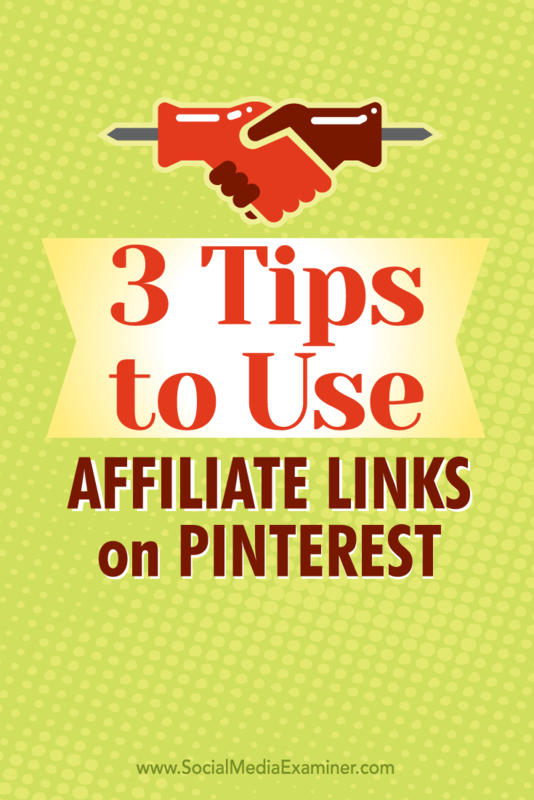 Tips on three ways to use to affiliate links on Pinterest. Kate Ahl is the owner of Simple Pin Media, a Pinterest management company that helps bloggers and business owners boost their business using Pinterest.